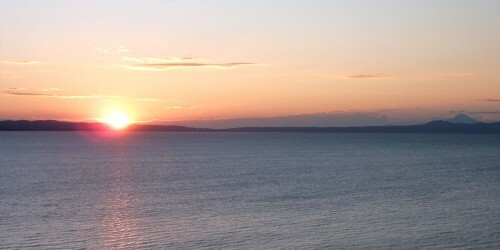 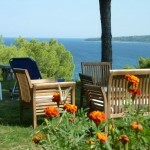 Enjoy much more than in rooms to let or in bed and breakfast. 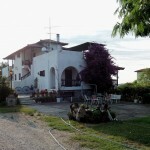 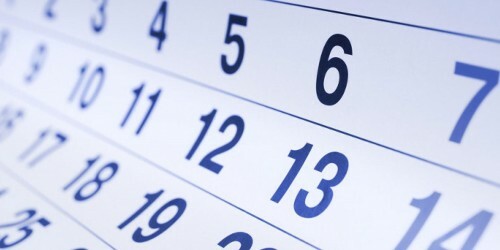 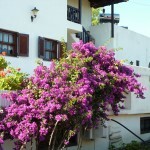 Villa Oasis does not offer only rooms to let or apartments just for bed and breakfast. 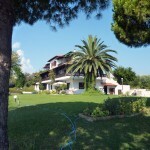 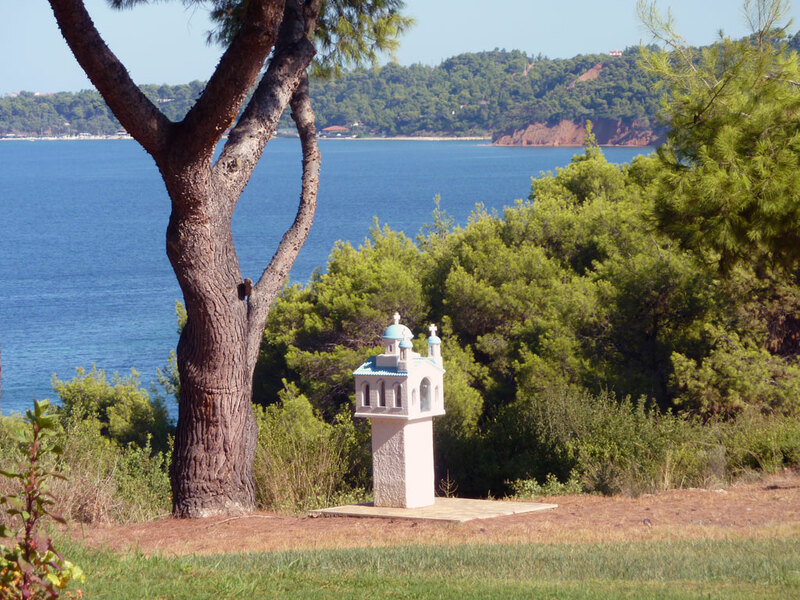 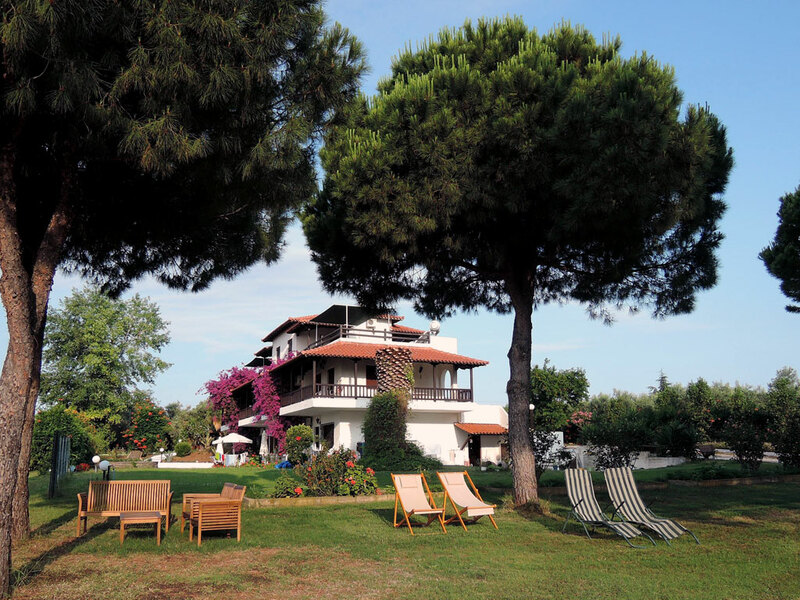 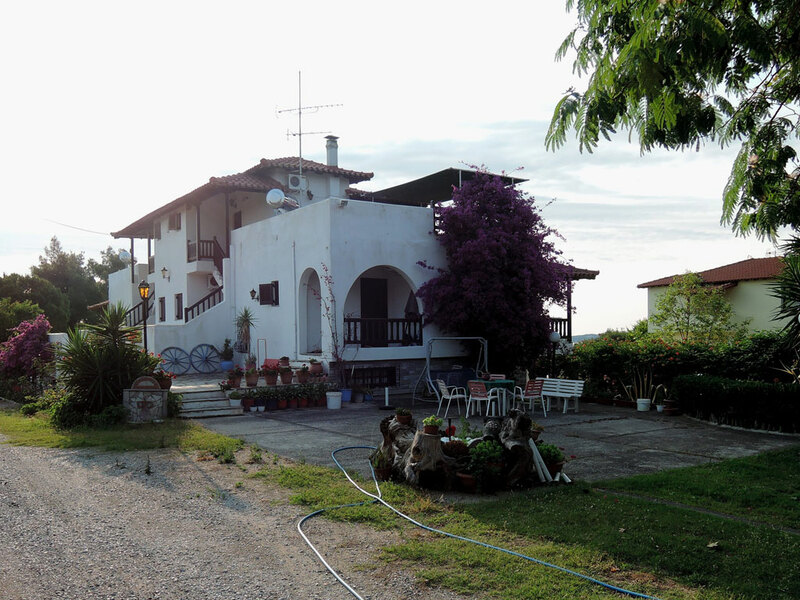 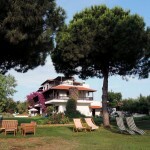 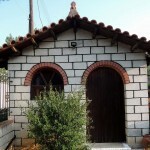 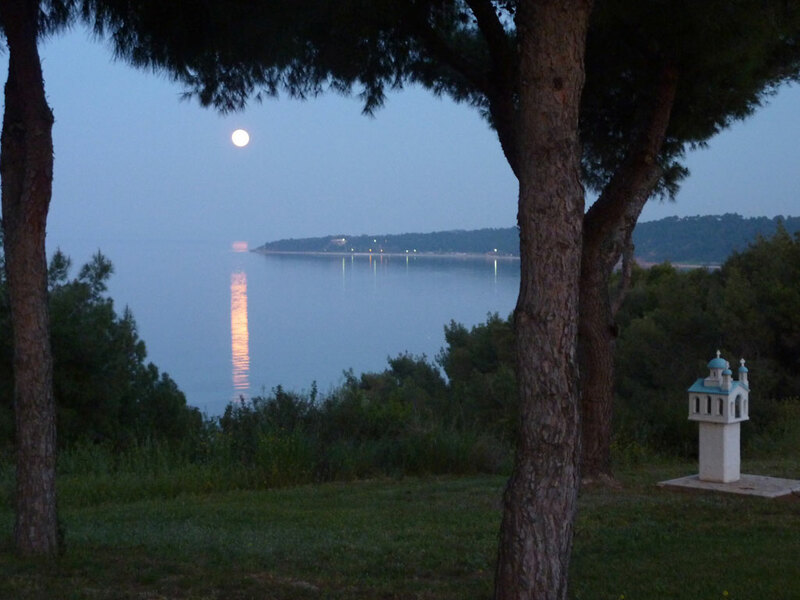 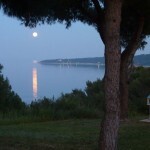 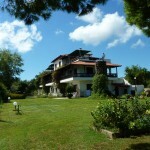 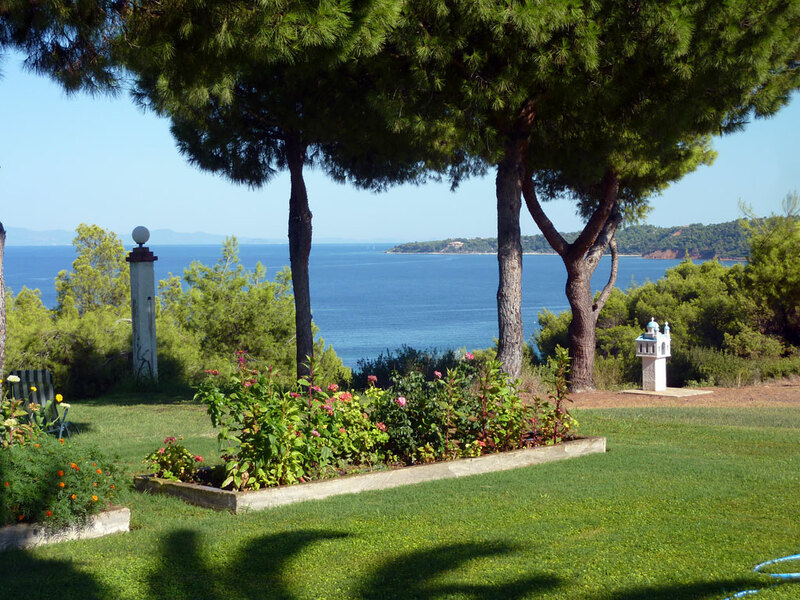 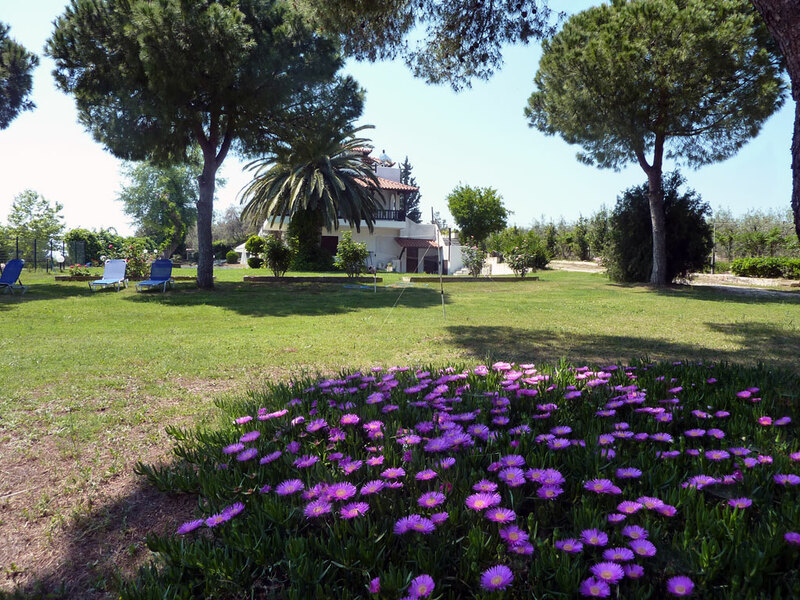 Our countryside villa is not only built in a magnificent landscape of Kassandra, next to pinewood and sandy beach. 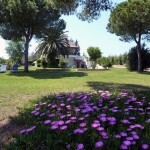 It is also surrounded by a beautiful flower garden. 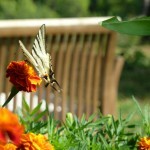 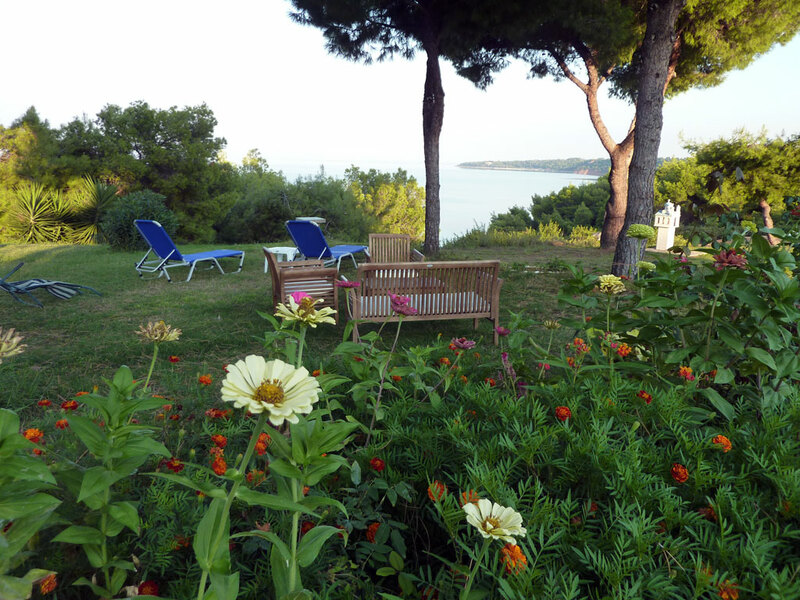 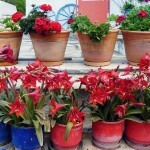 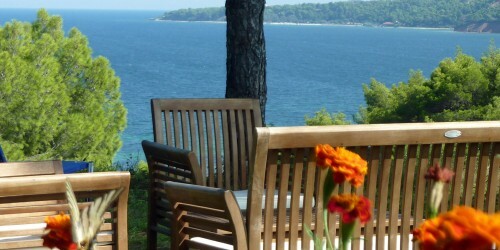 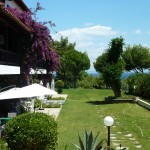 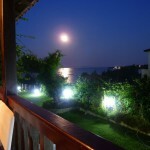 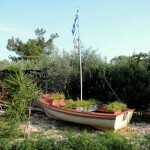 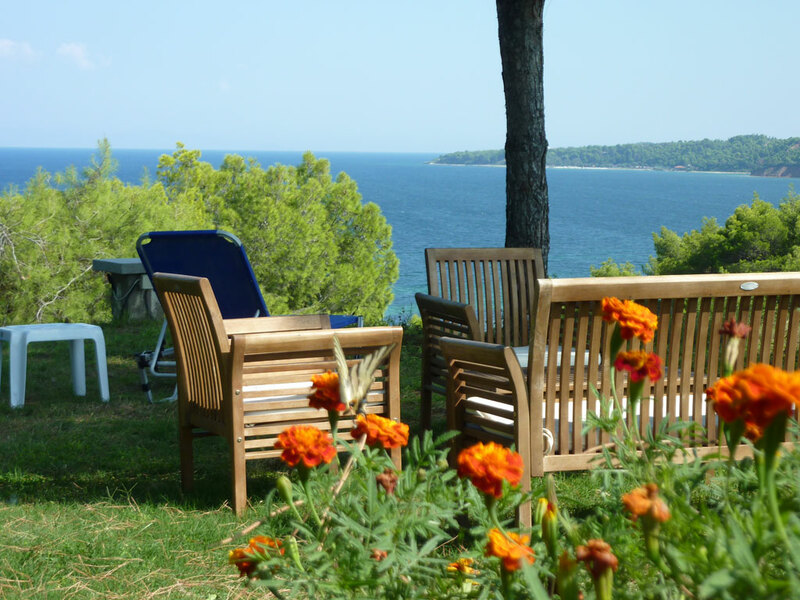 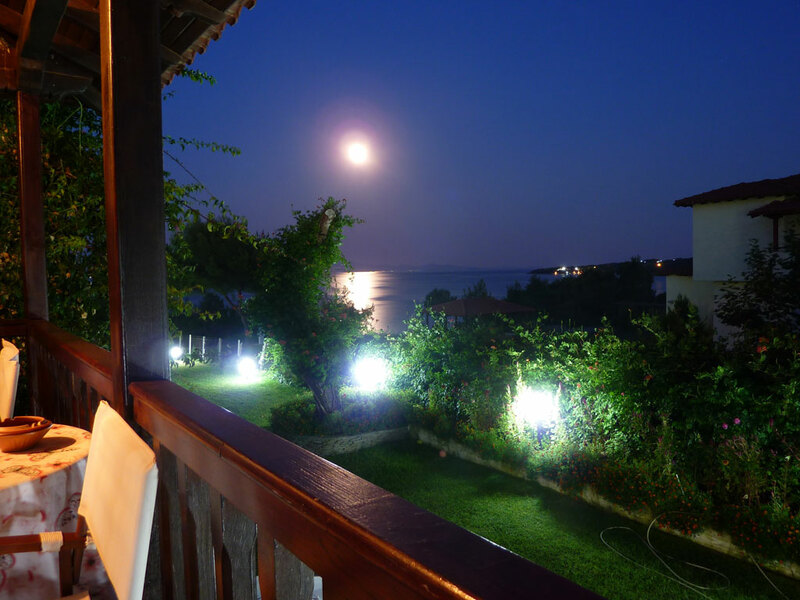 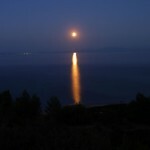 Living in our garden is one more reason to make your summer vacations in Halkidiki unforgettable. 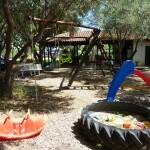 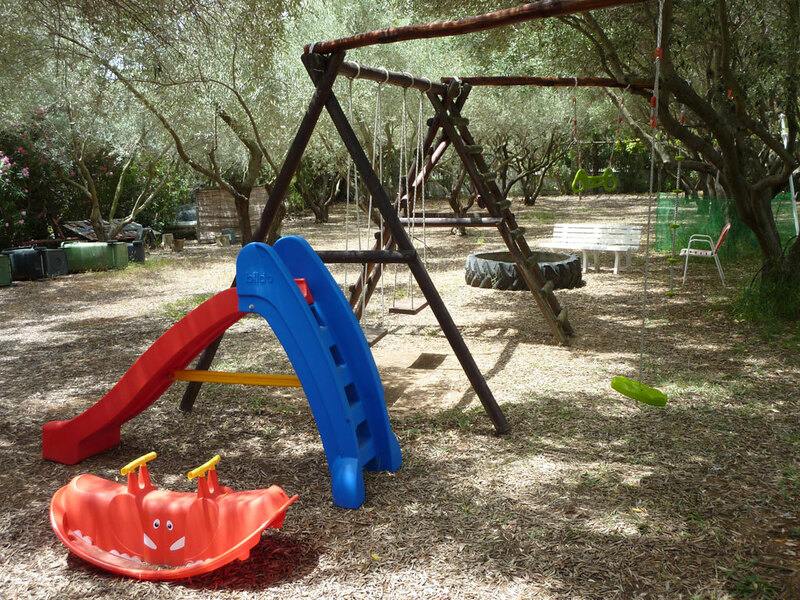 The 4000 sqm property of Villa Oasis is surrounded by fence with gate to the road and offers safety to kids. 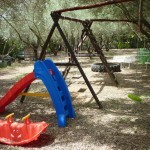 Children playing yard with swings, table games in barbeque and 1500 sqm of lawn permit them to play without annoying anybody. 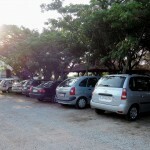 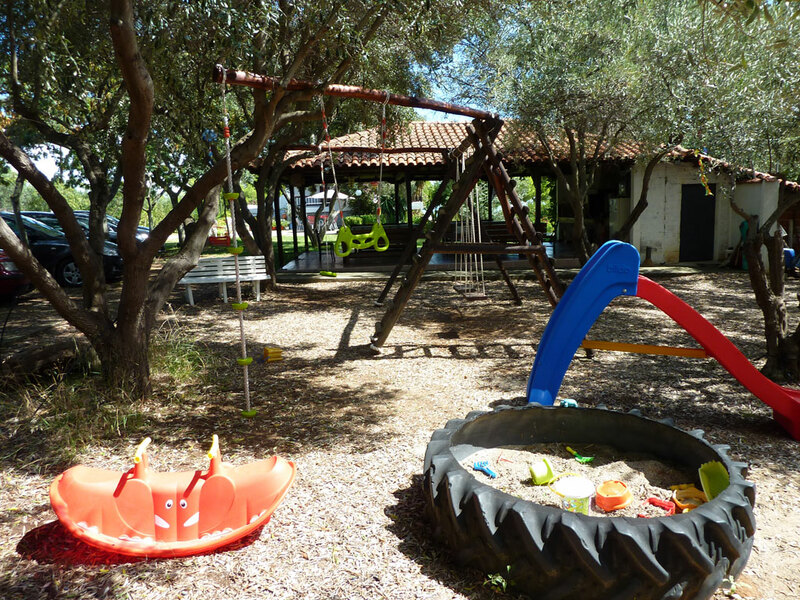 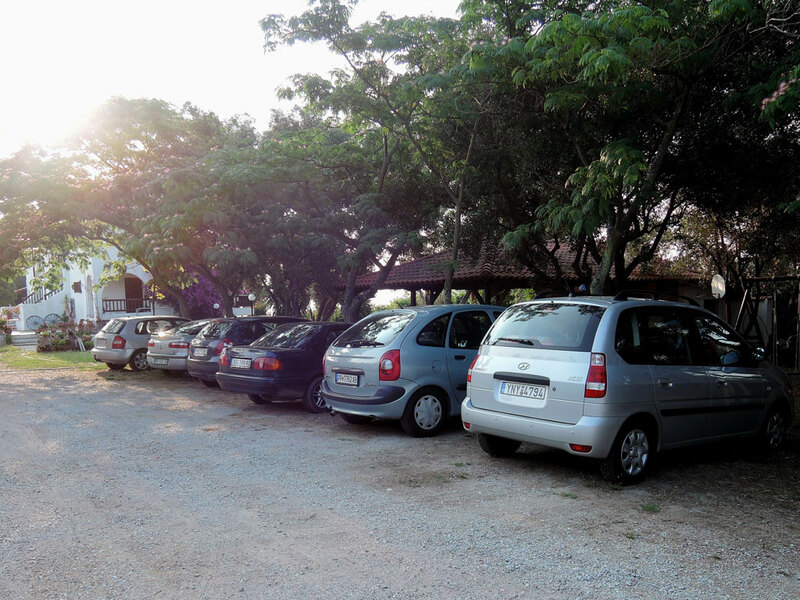 There is also parking for more than 10 cars under the shadow of big olive trees. 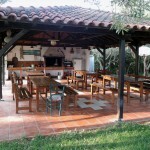 Barbeque area is the most beloved place after the beach. You can grill on coal and enjoy dining with friends, or just relax with a book and your afternoon coffee. 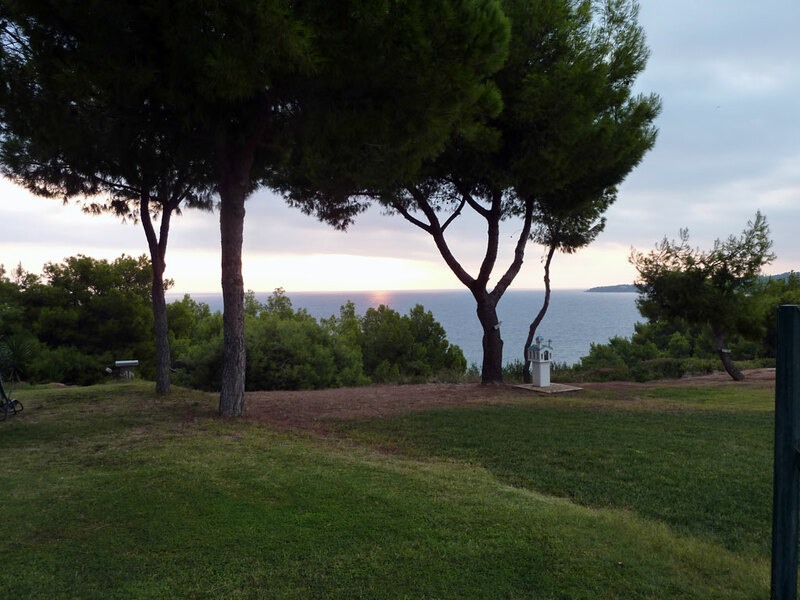 The refrigerator keeps your drinks frozen while you are enjoying the music and the cool sea breeze that blows the warm hours of the day. 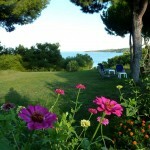 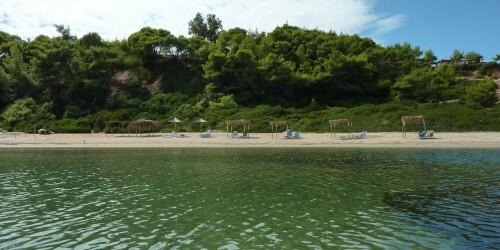 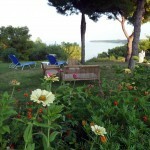 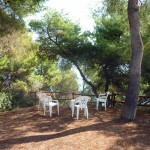 Our garden is open to the pinewood of the beach and directly connected with it. 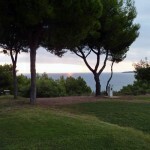 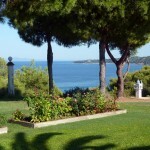 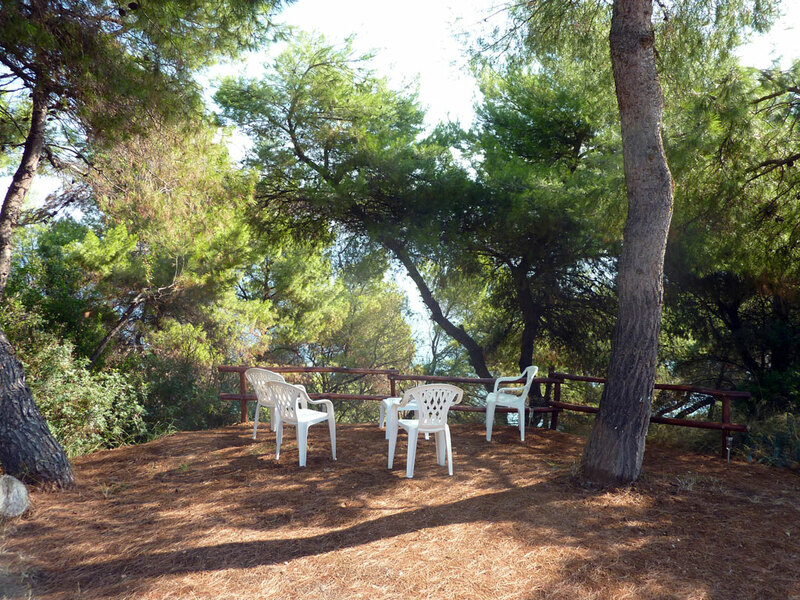 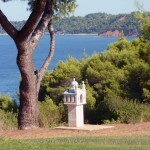 There are several sitting places and sun-beds on the lawn or under the shadow of pine trees. 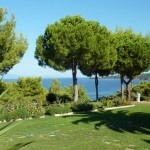 The most of them offer magnificent view to the beach through the branches of the trees or above them. 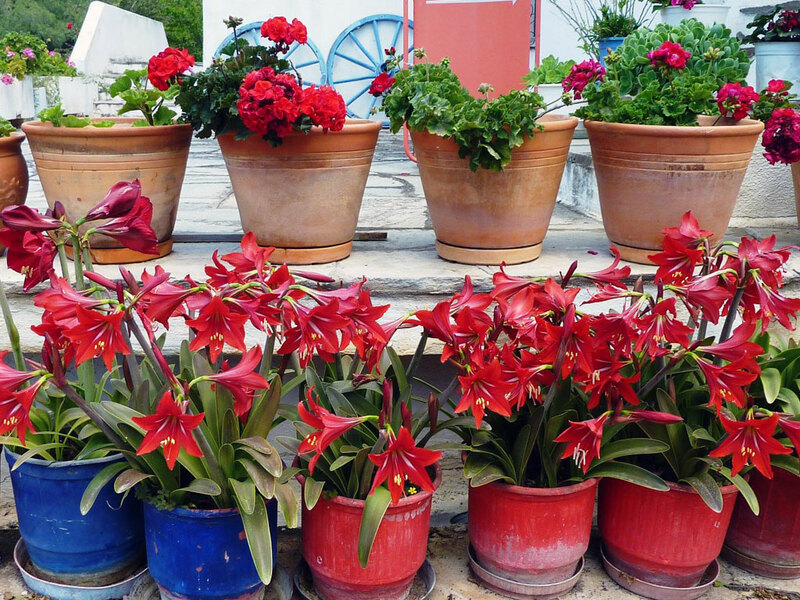 But most of all we are proud about our flowers that bloom all summer. 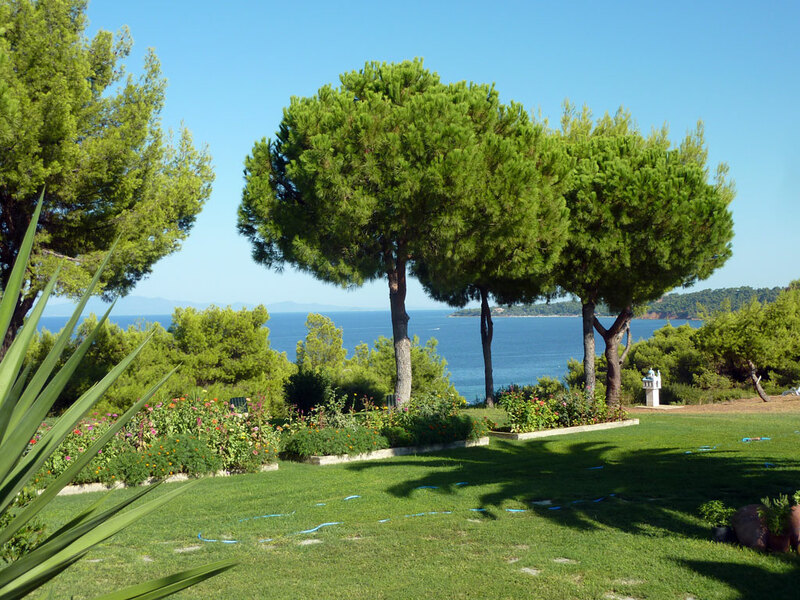 Our flower beds, bushes and trees are carefully chosen to join with harmony with the pinewood of the coast. 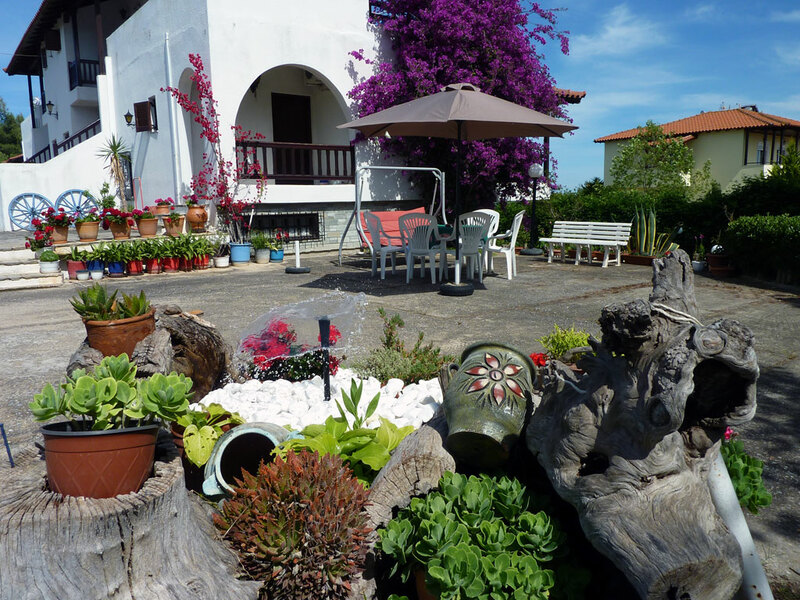 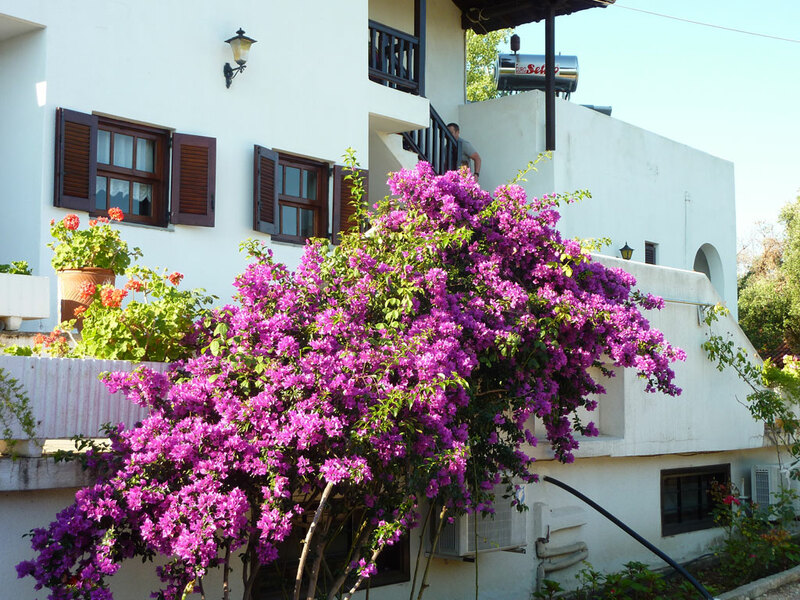 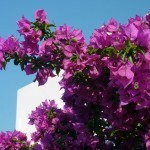 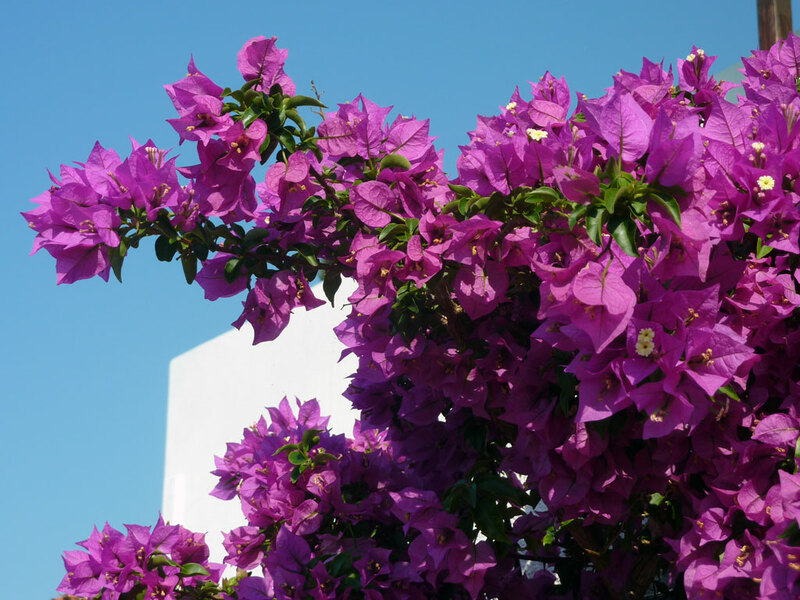 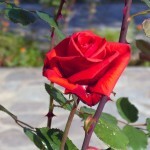 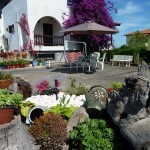 Their colors, shapes and perfumes make our place a small paradise, a real oasis next to the wild nature of the coast. 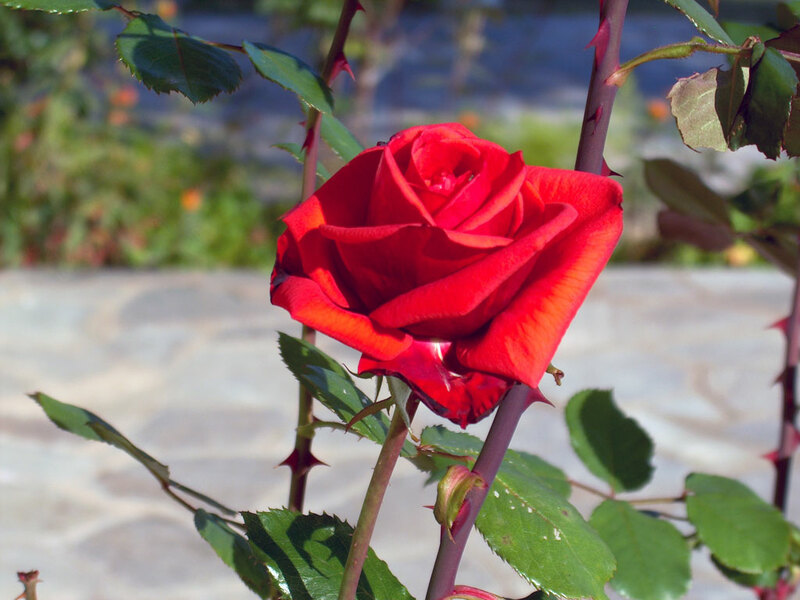 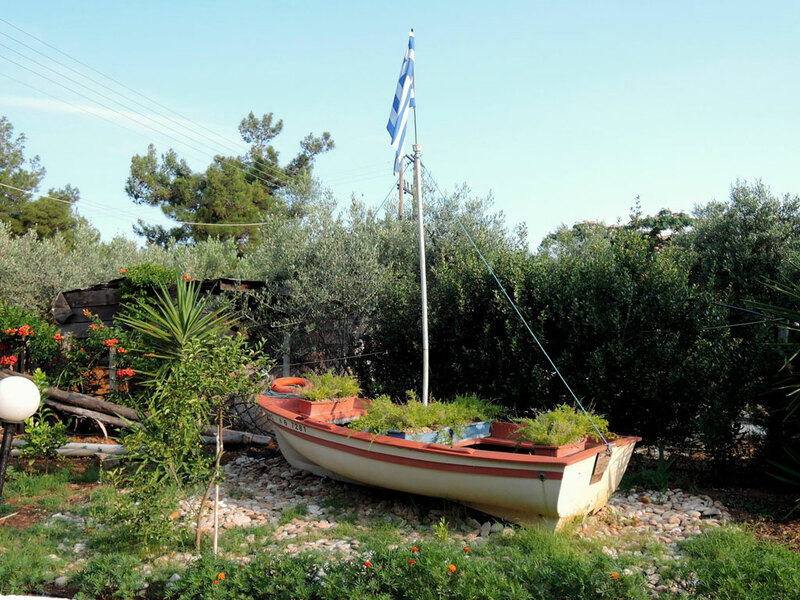 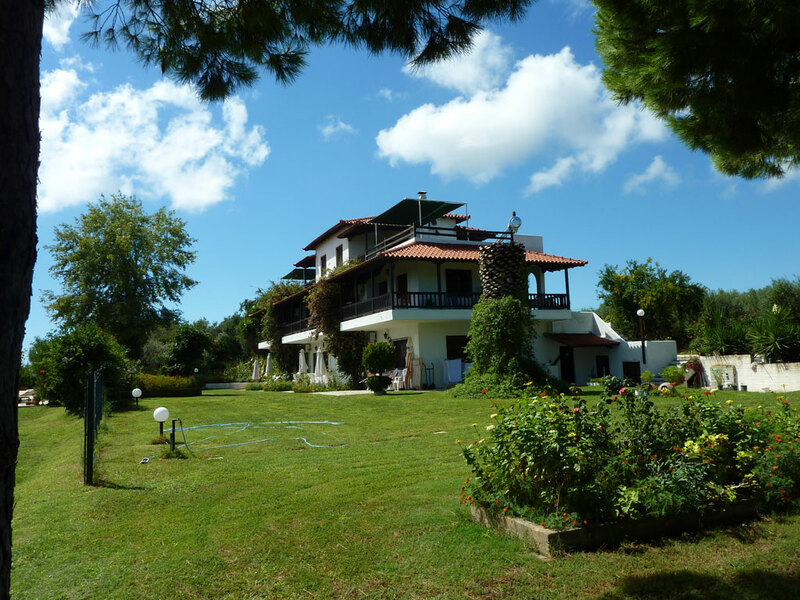 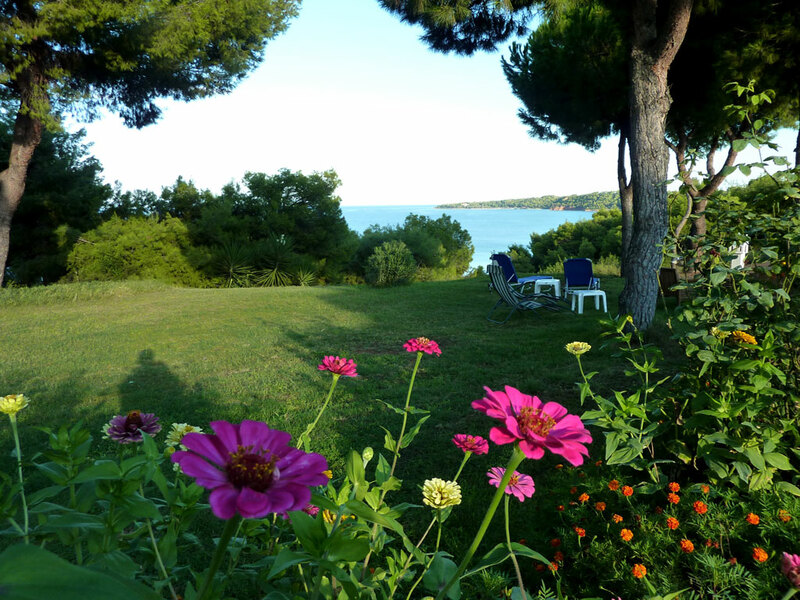 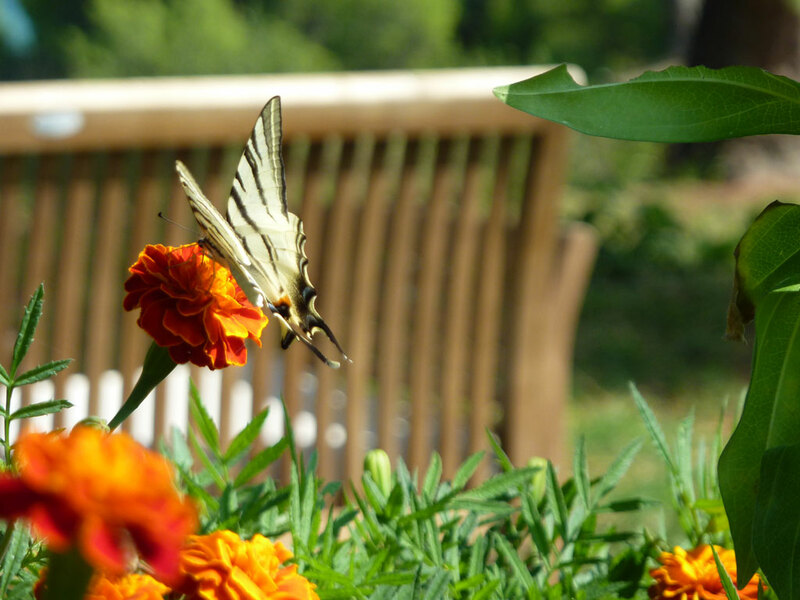 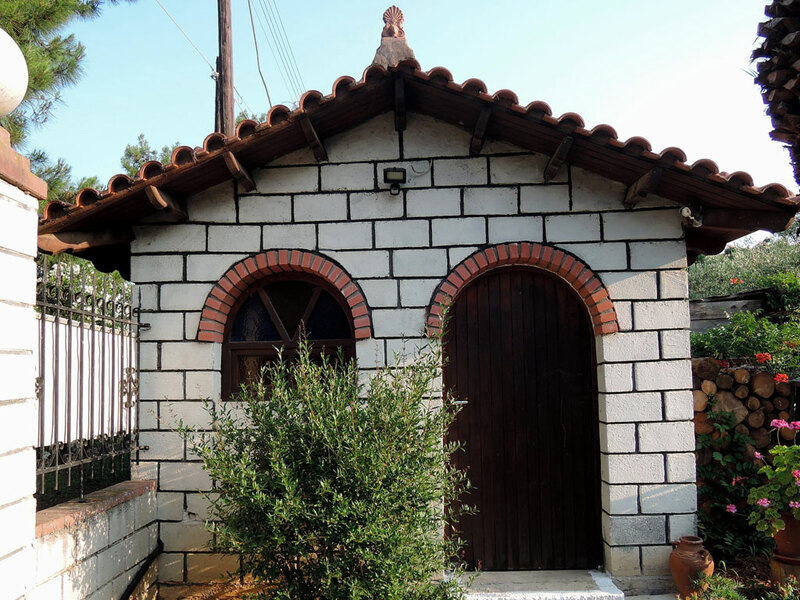 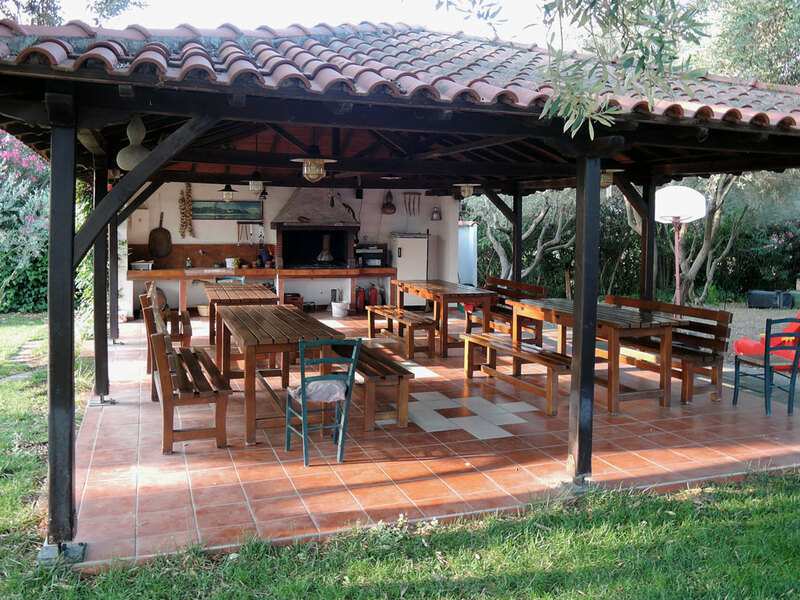 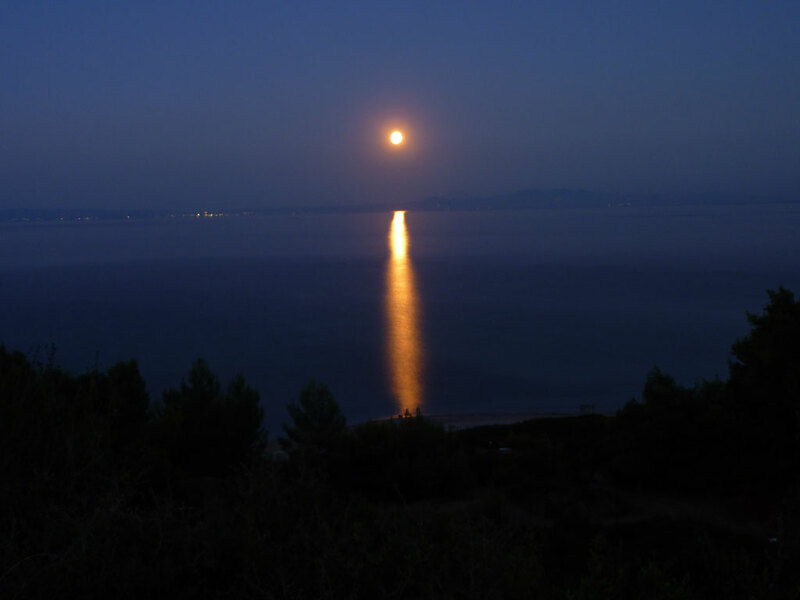 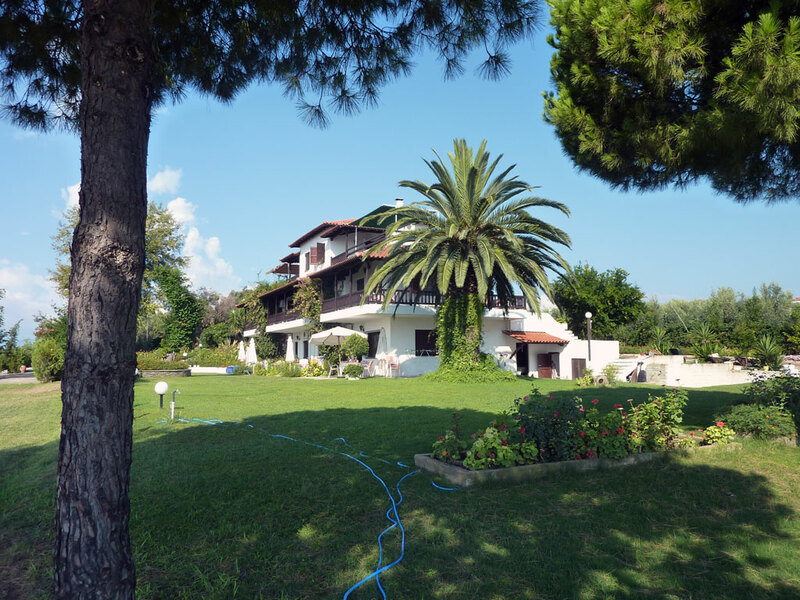 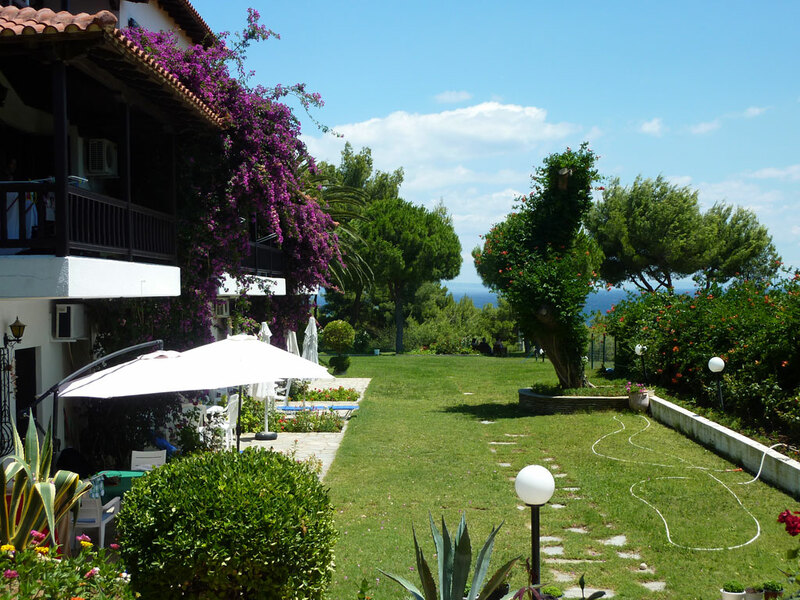 You will love spending your time in our flower garden and you will understand why we claim that Villa Oasis offers much more than rooms to let or bed and breakfast in Kassandra Halkidiki (Chalkidiki).